To parents of children who are taking the grammar school entrance exams this Autumn. In short, the children who dedicate some of their own leisure time to practice, and discipline themselves to work – at least 2 hours a day during the holidays, in addition to holiday tuition here, are the ones who will be less fazed by the experience. The phrase: “No Pain, No Gain” was invented by a wise person who no doubt experienced the sacrifice and the anguish required to achieve results – and the ensuing elation that success brings! 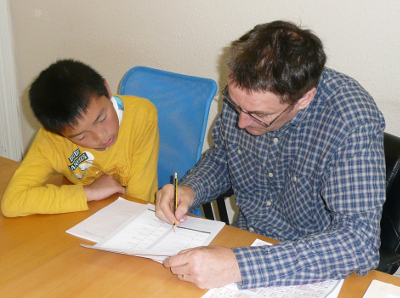 John has a proven and very successful method of preparing the children for the exams, but your children must be prepared to work hard, outside of school and tuition, to get those results. ­Whatever stage or level a child is at in their education, there is always untapped potential, because they’re children! John Cashin Tuition is experienced in identifying these abilities in children, unlocking that potential and drawing it out.